Have you got plans sorted for the weekend? It's a Bank Holiday in the UK (for those of you that live in foreign climes that equates to a day of rest for many of the people that usually have a 9-5 toil) and I am one of many that will be enjoying a long weekend. In the UK it is also tradition that Bank Holiday Mondays are wet. However as we have seen from previous festival news, this year has been one of broken traditions, it even rained at Camp Bestival! (unheard of in it's previous 9 year history) so it's no surprise to see that the sun will be shining all weekend at Hersmonceaux this weekend. 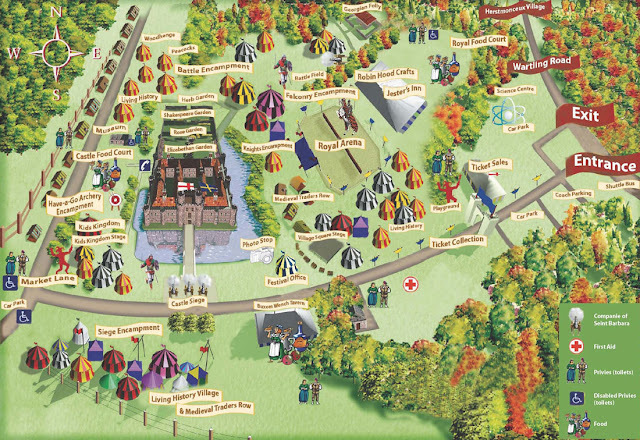 If you live any where near Herstmonceaux (it's in East Sussex) and you are not planning a trip to England's Medieval festival for at least one day (camping is available and camp site opens at 2pm today!) then you are missing out! Tickets are available at the gate and the festival is open Saturday, Sunday and Monday. 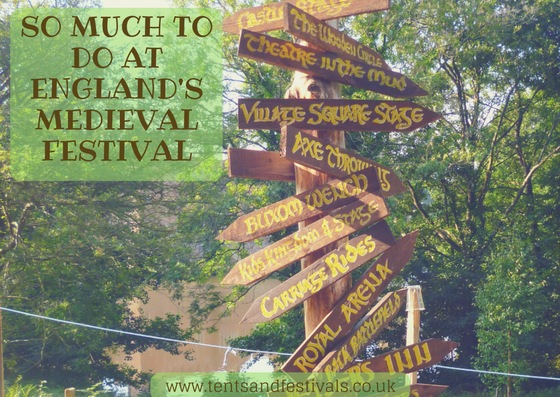 Do pop along, fancy dress is optional (but fun) and children of all ages can learn sword skills, jousting, bread making and a thousand other medieval skills! You can even bring the dog.